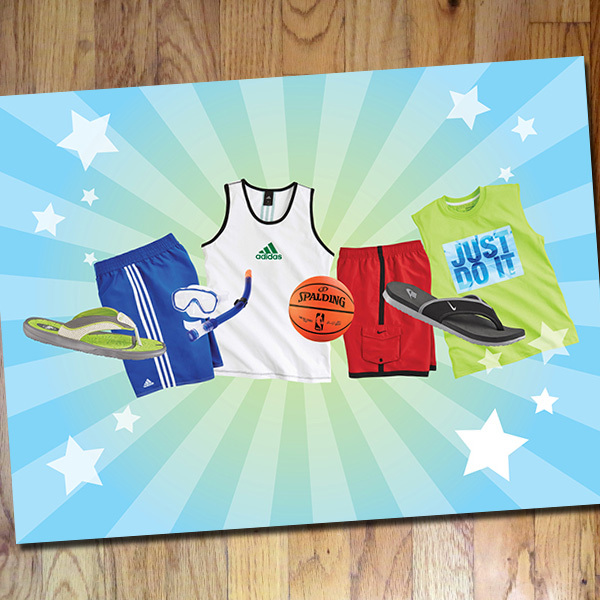 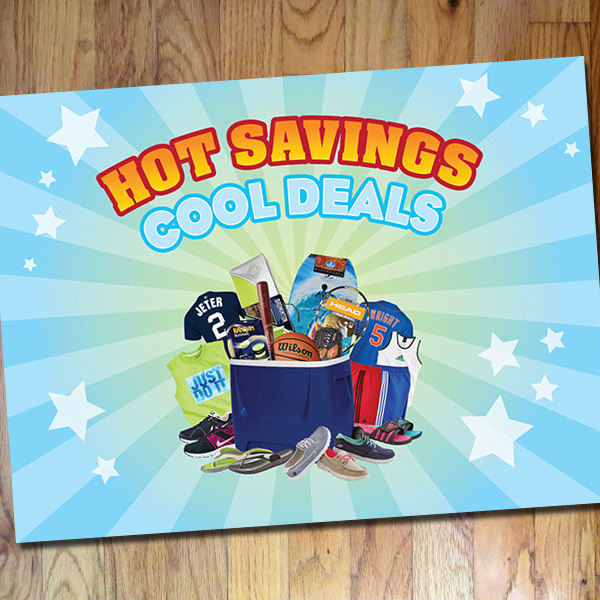 Based upon their initial Summer “Hot Savings, Cool Deals” direct mailer, I art directed our graphic designer Vinny Lee (who was freelance at the time, but is now part of their team). 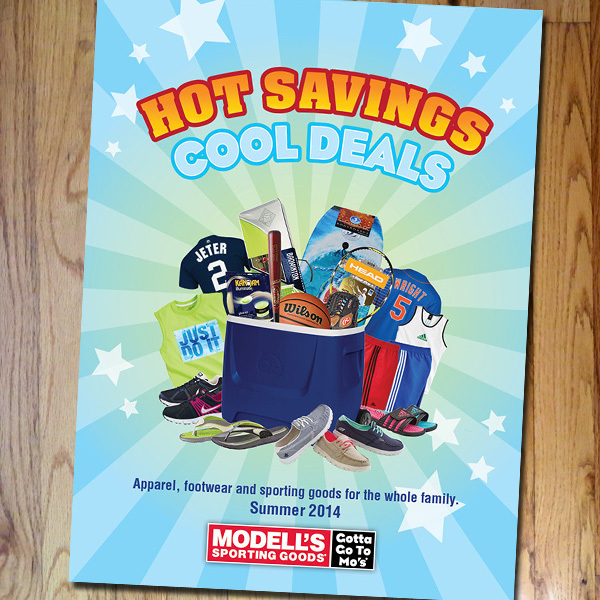 Vinny and I wanted to extend the playful idea of the cornucopia of summer merchandise that Modell’s offers their customers. 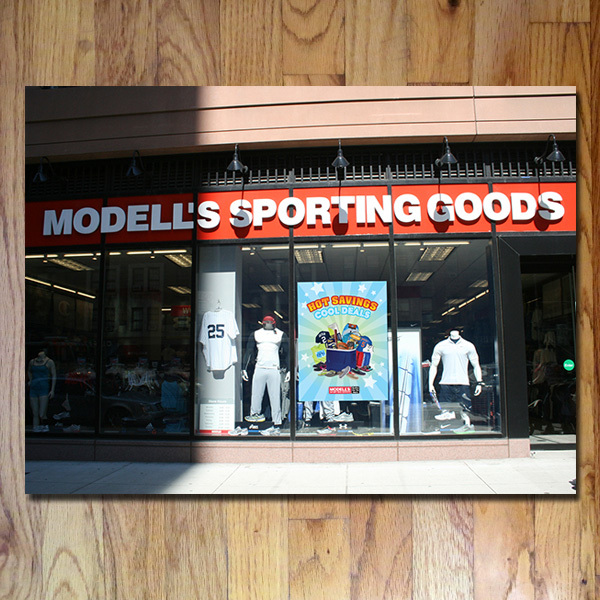 The POP package consisted of window banners and snap frame “shop specific signage” along with 4 way toppers and related pre-printed POP (not shown here). 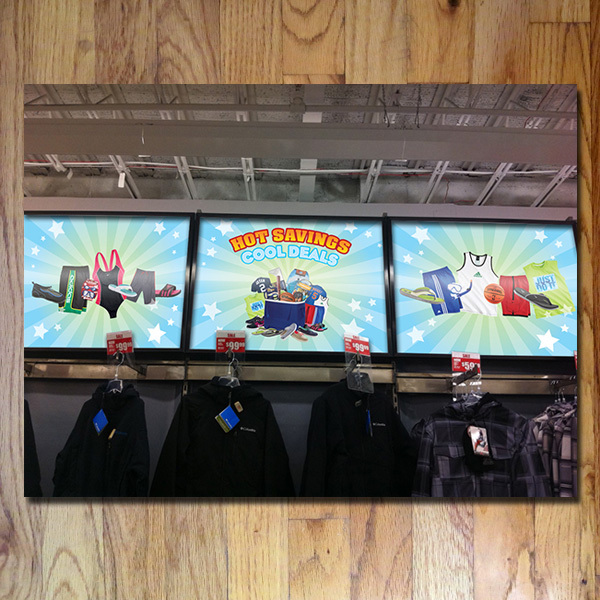 This execution set the tone of their fall “Back to School,” “Outdoor Shop” and “Winter Shop,” with it’s use of playfully highlighted the product types. 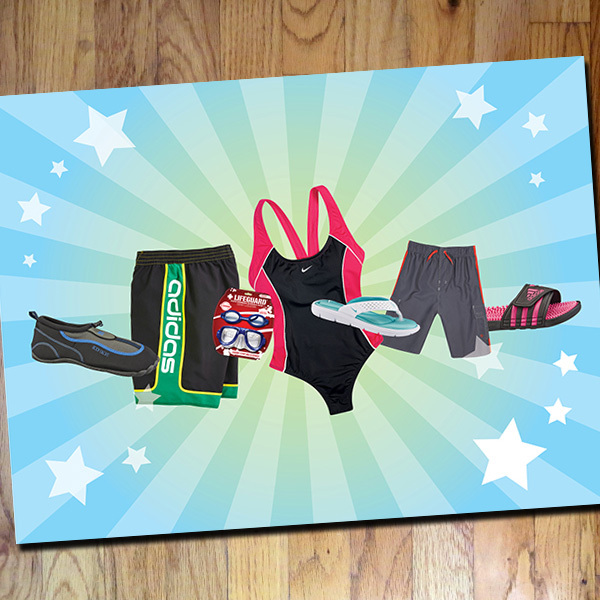 Ultimately the graphics were extended to circulars, ROP advertising, e-mail and web campaigns.